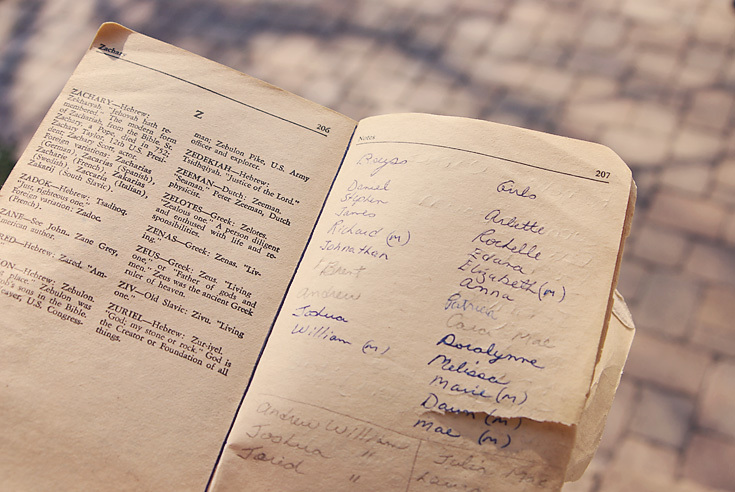 I’ve collected name books since I was in junior high, which is slightly odd considering that up until last year I never wanted to have children. Ever. But now that I’m happily pregnant (8 months today), I decided to pull out my name book collection. 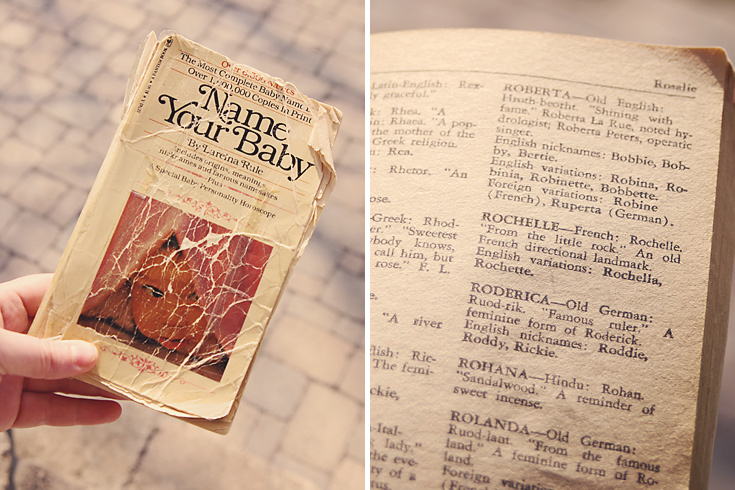 This is the book my parents used to choose my name (circa 1980). The back of the book lists their top name choices. I just found your blog via Nova (http://novarella.blogspot.com/2012/03/walls-and-texture-and-girl-i-know-for.html) and I had to stop and say hello because… well, we have the same name!! I really don’t know a lot of Rochelles. It’s not a very common name I guess. Maybe it was on the rise in the 80′s? Haha! I got my name because it’s a family name, and my Mom has always pronounced it “Richelle” because she’s from the south and has some twang to her vowels still. leanne - does the top one say Arletta??? what the? wow. pretty cool keepsake though. cocomama - It says “Arlette”. Even better.